Leather & Lace M.C. is a women's Motorcycle Club. It was established in 1983. Leather & Lace was created to bring women together who have a serious interest in motorcycling and in making a difference in the lives of others. Upon this foundation, the women of Leather & Lace Motorcycle Club have built a strong sisterhood. Not only do they share the wind and the roads, they also share an unwavering purpose and spirituality. Though the miles may separate them, they remain together as one. Jennifer Chaffin founded Leather & Lace in 1983. 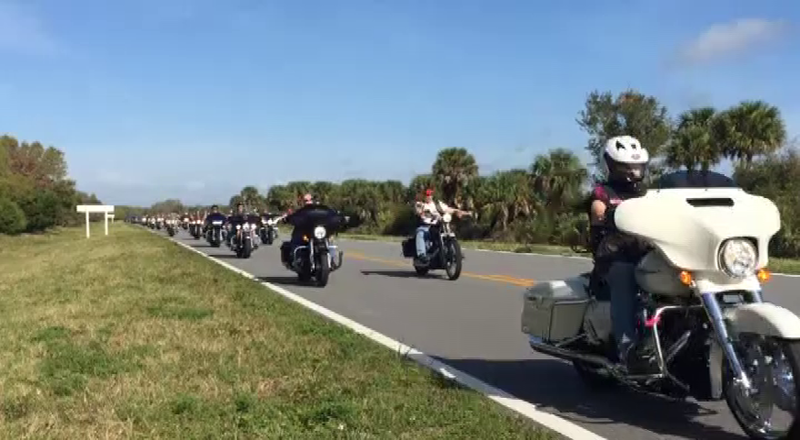 It began when a group of caring women riders wanted to help children. Initially membership grew slowly, due to the fact that in the early 80’s, women riding motorcycles was not as acceptable as it is today. Leather & Lace is proud to have chapters and full members all over the United States and beyond that share the goals and enthusiasm of their founders. The name says it all. “Leather” stands for the inner strength we possess as women, and the physical strength we demonstrate in handling our machines. “Lace” stands for our femininity, an intimate and important part of us all. The women of Leather & Lace strongly believe that children hold the keys to the future, and must carry on their heritage. Through charitable activities and involvement with their communities, they hope to insure the quality of life for all children. Their secondary goal is to increase public awareness concerning motorcycles and motorcyclists. Together they stand proud and strong. Together they are making a difference. The following pages will tell you more about this unique women’s motorcycle club. 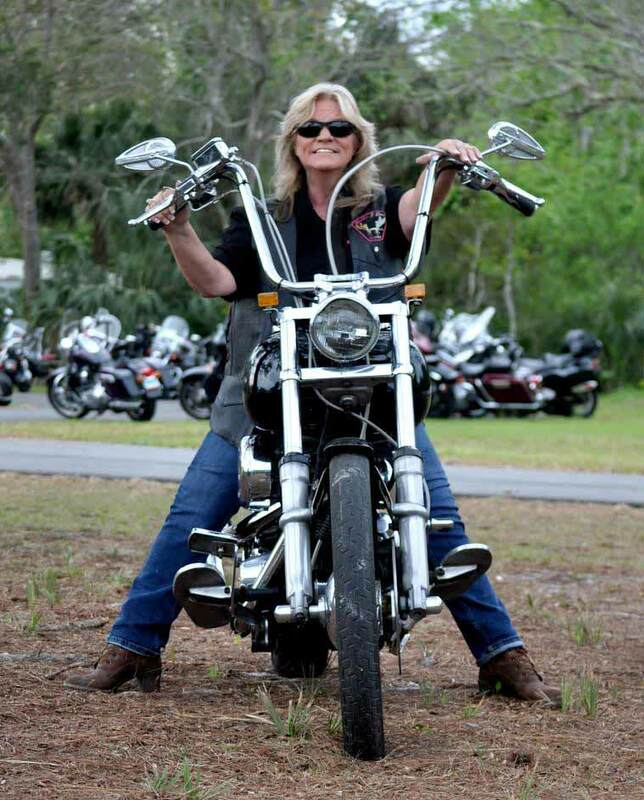 After learning about them, should you decide to become a member, know that you will be joining not only a women’s motorcycle club but also a sisterhood. Leather & Lace members are very committed. Together we stand strong. Together we make a difference. Hello, my name is Jennifer Chaffin. In 1983 I formed the Lace nation to help improve the quality of life for children while doing what I love most… “being in the wind.” I was also tired of only having two choices when I rode…riding alone or riding with the “guys.” As fun as that might sound, trust me when I say riding with the boyz was not always fun. I knew that there had to be other women riders that felt the same as I did, I am not that special. Once all the ads were published in biker magazines across the county, the post office box was stuffed full. At the first local meeting we had 20 women riders. At the first national meeting we held we had women from all over the county in attendance. Once the Lace nation started coming together, I realized that the women who choose to be a part of Lace have a special spirit. I knew that together we would make a difference not only in our communities but in the entire motorcycle world as well. Over the years Lace members have seen each other through life’s ups and downs. We have watched each other’s children grow up, we have even welcomed our grandchildren into our sisterhood. We have supported numerous children’s charities and we know that we have made a difference in many lives. Leather & Lace MC is an amazing sisterhood and like everything in life, the level of commitment is directly related to the benefits you will enjoy. Never ride faster than your guardian angels can fly! Have questions? Send us a note here! Please sign our guestbook to let us know you rode through!